the outside world is a flurry of white right now. 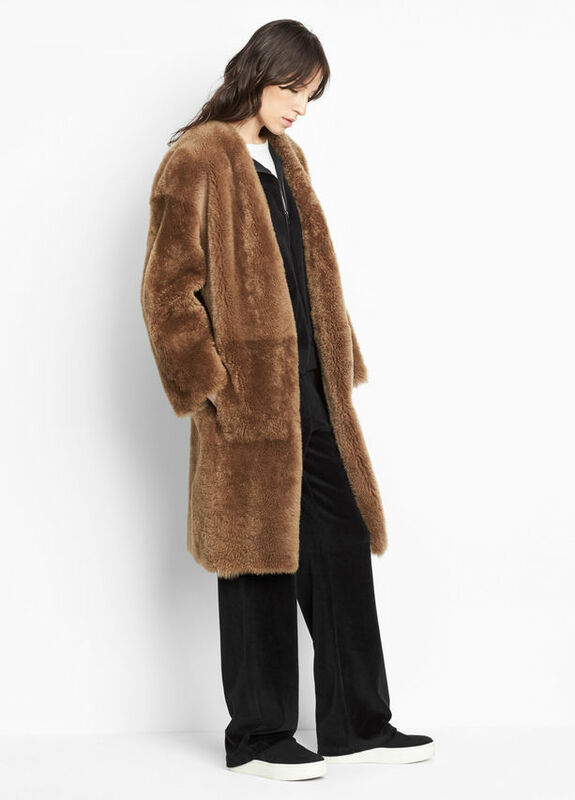 naturally, i'm dreaming of shearling everything. if you've been wishlisting a proper shearling coat and waiting for a deal, you're in luck – Vince has some gorgeous luxe shearling coats on major sale right now. i'm a fan of this cozy (and reversible!) long version available in two colorways, and there's also this lovely shorter option with an oversize shawl collar that converts into a hood. i like the simple and timeless design. no frills, just shearling. there's a bit of The Row in this style of coat. at this price point, i think it's an excellent splurge that will last year after year. what are you wrapping yourself in this winter?